We “Welldoor Engineers” established in the year 1979, located at Vadodara, Gujarat, are a prominent name engaged in Manufacturing and Supplying a significant gamut of Steel Doors, Ventilators, Windows, Steel Door frames and Roller Mosquito Screens. In this range we are offering Steel Doors, Fire Proof Doors, Glazed Doors, Panic Bar Doors, Sliding Doors and Rib Doors. Along with this, Welldoor Engineers offer Steel Window, Steel Louvered Windows and many more. This entire gamut is manufactured by making use of supreme quality stainless steel, iron and other required basic material in tandem with the defined parameters of the industry. Available with us in different sizes and specifications, these offered products can also be availed in customized forms. Our team and infrastructure setup is the prime factors, that have been enabled us to come up with the most reliable and qualitative range. Our team comprises qualified and experienced engineers, rubber technologists, quality controllers, warehousing & packaging experts, sales & marketing personnel and skilled & semi-skilled workers, whose efforts have immensely contributed towards acquiring a distinguished position in this industry. Furthermore, our infrastructure setup is well-equipped with all the requisite machinery and amenities that enable us to execute entire production process in a streamlined manner. Being an experienced and distinguished organization, we execute entire business related activities while taking into consideration ethics of the business. Owing to our product-line and ethical business practice we have been able to win trust and confidence of a colossal base of clients which includes Essar Projects Limited, Sun Pharmaceuticals Limited and Eisenmann Surface Finishing Systems. It is due to efforts and knowledge of our mentor 'Mrs. Urvahshi Ginwala', we have been able to meet evolving demands of the clients. Furthermore, owing to her visionary & motivated persona, we have been able to set a perfect example of success. Manufacturing, Trading, Importer and Exporter of Doors, Windows And Ventilators. We have expertise in designing and developing a significant gamut of Steel Doors, Ventilators, Windows, Door Frames and Roller Mosquito Screens. This offered product-gamut is manufactured by making use of superior quality basic material such as stainless steel, iron and others, procured from the accredited vendors of the industry. Furthermore, we design and develop this offered gamut while keeping in mind requirements of the clients so as to meet their expectations. We have made the offered gamut available in different sizes and specifications so as to meet divergent demands of the clients. 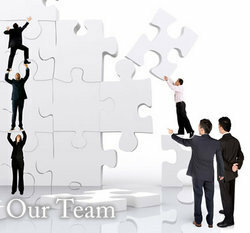 We treasure a team of zealous and qualified professionals, which is an integral part our organization. Owing to stout support of our team, we have been able to execute entire production and managerial activities in a fruitful manner. As far as production is concerned, our team employs striven efforts straight right from the R & D till the quality testing of the products so as to live up to the expectations of the clients. Furthermore, our keeps stringent vigil on the evolving requirements of the clients and assists us in formulating more client-centric policies, in this manner our team enables us to establish harmonious relationship with the patrons. Ever since our commencement, we have been executing our entire business related activities while keeping in mind interests of the clients so as to meet their expectation. With an aim to serve our clients with the best-in-class product-gamut, we use only qualitative raw material to design and develop the products. Furthermore, product-gamut which we have come up with stands tall on the defined parameters of the industry. We carry out our activities while taking into consideration ethics of the business so as to live up to the expectations of the clients. We strive to meet expectation of the clients with our timely delivery, qualitative products, flexible transaction modes and customization solution. 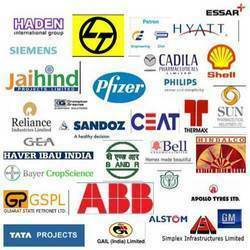 Below cited are the name of our reputed clients, whose trust has enabled us to move ahead on the path of success.